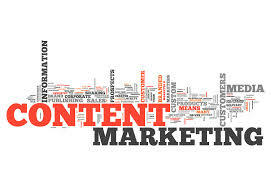 Content Marketing and Public Relations are complimentary parts of your overall marketing efforts. Ten Reasons/Ways Using The Web For Business Promotion. I recently had a conversation with a local merchant who did not believe that his business would benefit from a web site. He did not have one and had no plans to start. According to him, his was a local concern and “everyone knows about us.” He was not interested in selling to people outside of his local area. He did not have the skills to set up a web site, and was not keen to hire anyone to do it for him. Granted, he did have an established trade and an excellent location. He also had a good reputation and made a good living. Of course it was his choice to have a web site or not, and who am I to insist that he get one? What might I say to him that would be helpful? Would you like to have more money? There is only one right answer. Of course you would. And if you have a good bit of money already, couldn’t you use more? Everyone does not know you. And even if at some point “everyone” had passed by or even went inside the building, they need reminding about who you are and what you do and how “everyone” could benefit from doing business with you. Smart promoters promote all the time. The reason I can sing the “Classic Chevrolet” radio jingle is because I hear it all the time. Frequency of exposure to your business, cause or candidacy is a key to success. There was a kind of smugness associated with the remark about how “everyone” knew him that put me off. It reminded me of my time in the specialty chemical manufacturing business when I heard the same thing from a product manager. He did not see any benefit to running advertisements in trade magazines and insisted that “everyone knows who we are”. After the first ad ran and there were over 1,100 inquiries, the discussion about how everyone knew us ceased. The web is a reference tool. In the old days, people went to the Yellow Pages or the local newspaper to do research on local products and services. Now, they go to Google. A local merchant or professional can go to Google Maps, click the link that says, “put your business on Google Maps” and be a couple of clicks away from literally putting your business on the map. Yahoo and Bing also have similar capability. Don’t ignore them. Now that you have established a web presence, you can do a few other things. Claim credit for the good you do. Plenty of local merchants perform acts of charity. They do not do it for reputation building or credit, but simply because they are generous people who want to give back. Commendable! But there is nothing wrong with asking the local charity, which mentioned you on their web site, and asking for a link back to your site. It does not cost anything. And if you feel embarrassed about taking credit, get over it. Your competitors are doing it and they are taking money away from you and your family and your employees. It’s marketing for goodness sakes. Ask for reviews. You have regular customers who come inside and buy things all the time. Ask them to go on line and write a review. This is much like “word of mouth” but the reach goes far beyond the circle of acquaintance your customer has. List your memberships. If you are a member of the local chamber of commerce, say so and list a link back to their web page. And while you are at it, make sure they have a link to your new web site on their page! Put your web address on your business card. Some people might think this goes without saying. Does it? Can I see your card? Just checking. Start a social network for your business. What is it about local merchants who are reluctant to post on Twitter or have a Face Book page for a business? I marvel at the reticence of so many people to tell others about what they do, never mind how much their neighbors will benefit. I patronize locally owned businesses because these folks are my neighbors. I often pay more because I prefer to support local merchants. I’ve got nothing against national chains, but there is something about the small businessman or woman that makes this country great. Give others like me the chance to hand over our money by promoting yourself via social media. Share your expertise. Another reason to spend time with local business owners is their expertise. I knew a couple of guys who owned a small fishing equipment shop. They were avid anglers and knew everything there was to know about fishing inside and out. People who had bought their equipment somewhere else would come to them for advise. Eventually, they went out of business. Not because of a lack of know how, but because they did not promote their know-how as part of their unique abilities. The web is the place to do this. Write and post a short story about how you helped someone. You do not have to name anyone by name, just describe the circumstances and how you were able to lend assistance. Write and post enough of these and pretty soon you have a blog. So if you are a local merchant in a traditional “brick and mortar” building don’t dismiss the web as a place to be seen. Like I said earlier, your competitors are all on line and they are taking money away from you and your children.